Blue Dog Democrats are undermining prospects for financial-industry regulation and reform. The Obama administration promised to reform the financial system and make it safe for the rest of us, but recent Congressional action is more likely to reset the fuse for another explosive calamity. The time bomb in this case is that arcane financial instrument known as derivatives–the hedging devices that the big banks sell to investors, corporations and other banks to reduce risk or evade the requirements to hold adequate capital on their books. As the financial meltdown demonstrated, derivatives do not reduce risk. They amplify it and spread it around interlocking networks of unwitting investors. That house of cards collapsed worldwide a year ago. It would be tragic to let the bankers build a new one. Some reformers think all but the simplest, most visible forms of derivatives should be prohibited by law. The president prefers instead to regulate them. Derivatives, his advisers explained, would be less dangerous if they were traded openly in financial markets, just like stocks and bonds. Regulators could then put the brakes on dangerous excess if they saw it developing. Anyway, that was the theory. That risk is not theoretical. The largest banks that dominate this lucrative business seem to have gotten pretty much what they wanted–a free hand to keep peddling the indecipherable derivatives beyond the reach of regulators. According to the Financial Times, Goldman Sachs plans to market a new financial instrument that will allow banks to reduce the capital required to hold risky assets on their balance sheets. Goldman calls this product “insurance” and expects to sell it to the banks with toxic portfolios, enabling them to shift the risk off their balance sheets. It is not clear whether the new bill will interfere with this “innovation.” Goldman evidently does not see a problem. Who drafted this dubious piece of legislation? Bankers (or their lawyers) did. The leading sellers of derivatives are an exclusive club of five very large financial institutions–Citigroup, JPMorgan Chase, Bank of America, Morgan Stanley and Goldman Sachs–that hold 95 percent of the derivatives exposure among the largest banks (the total contract value exceeds $290 trillion). These are the same folks who toppled the global economy and compelled government to intervene with gigantic bailouts. A well-informed Congressional source confirmed that the original language in the draft legislation was written by financial-industry experts. It “was probably written by JPMorgan and Goldman Sachs,” he told me, “and possibly the Chicago Mercantile Exchange.” The Chicago exchange trades commodity futures–hog bellies, beef, grains–and more exotic derivatives. It is a rival to Wall Street but very close to agribusiness interests like Cargill, the giant grain trader, that make heavy use of derivatives. Washington insiders may not be shocked to learn that private-interest groups provided the draft bill. This is what lobbyists often do for the legislative process, especially on complex subjects like taxation and regulatory law. But the legislation was delivered to the House Financial Services Committee by Blue Dog Democrats, not lobbyists. There are fifteen Blue Dogs and like-minded members on the committee. Together they make up more than one-third of the committee’s Democratic majority (forty-two Democrats, twenty-nine Republicans). “The conduit for the draft text was Blue Dogs and conservative Democrats,” my source explained. “The committee could not do anything without them,” since the Republicans were committed to voting against whatever the Democrats proposed. Chairman Barney Frank made a deal to accept the Blue Dogs’ original draft as the starting point, hoping to improve on it with amendments. The chairman made progress, but the finished bill is still vulnerable to whatever evasive games Wall Street decides to play. The Blue Dogs claimed they were speaking for business, not bankers, but this too involved a little sleight of hand by industry lobbyists. Last summer, an official of the Securities Industry and Financial Markets Association told colleagues at a private industry meeting that since the bankers have damaged credibility in Washington, they should send their customers to push the bankers’ position on Capitol Hill. Sure enough, representatives from various industrial and agricultural sectors showed up to testify as expert witnesses and demand exemption from regulation as the “end users” of derivatives. Bankers told their clients that regulation would raise their costs. Never mind the costs to the country if derivatives blow up again. 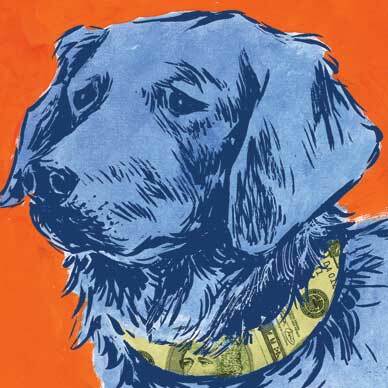 The odor of money hovers over the Blue Dogs–political money for their next campaigns. The House Financial Services Committee is a prized assignment and known informally among members as a “money committee,” not because it deals with money issues but because its members have an easier time raising campaign funds from the banks and financial firms under their jurisdiction. This is not illegal. It is the way Congress works. Money also explains why the committee is top-heavy with Blue Dogs. House Speaker Nancy Pelosi put them there, along with other freshmen and sophomores, knowing it can help them win re-election. She was encouraged by Representative Rahm Emanuel, now White House chief of staff, who was then chair of the Democratic Congressional Campaign Committee. In 2006 and again in 2008, Emanuel had a lot to do with electing Blue Dogs to House seats the Democratic Party was not supposed to win–suburban and rural districts normally represented by Republicans. Emanuel recruited candidates, coached them and financed them. They helped Democrats win control of the House and helped Pelosi become Speaker. Many of them face tough re-election fights in 2010 and need to raise a lot of money to survive. Naturally, party leaders worry about keeping them. These more conservative junior members, one might say, are the tail wagging the committee’s older, more liberal dogs. The Democratic Party is stuck with the consequences. It is a reform party that wants to have it both ways–serving the public interest without overly discomforting the bankers. The dilemma poses a test for Pelosi: will she stand with her favored Blue Dogs or go with the progressive/liberal majority of Democrats who want to solve the problem? The House legislation essentially reflects the strategic choice President Obama made about financial reform. He wants to rearrange the regulatory system in Washington, but he does not want to alter the fundamental structure of the financial system or prohibit banking practices known to be dangerous. Instead of proposing hard rules and specific limits on bankers, the president would empower the regulatory agencies to keep watch and put the Federal Reserve in charge of guarding against systemic risk. Advocates of this approach argue that lawmakers do not know enough to write legislative commandments. There is some truth to that, but why imagine that regulators know what to do? Or that they will have the nerve to impose tougher rules that Congress declines to enact? The Fed, in particular, failed utterly to see the developing crisis in advance or to listen to warnings from those who did. Again and again during the last twenty-five years, the Federal Reserve worried privately about banking excesses but never stepped up to restrain the reckless behavior until it was too late. Then, in crisis, the central bank rushed to the rescue and bailed out the largest of the bad actors. But skepticism is rapidly gaining momentum in Congress. The most noteworthy critics of Obama’s relatively limp reforms are two former Federal Reserve chairmen–Paul Volcker and Alan Greenspan–who in different ways recommend far stronger actions to correct things. Volcker wants to peel back a generation of permissive deregulation and restore the traditional format in banking: prevent commercial banks, whose deposits are insured by the government, from taking risky adventures in financial markets. Do not give more responsibility to the Fed, so it can focus on its core function–the conduct of monetary policy. Greenspan now calls for anti-trust enforcement to break up the mega-banks–the very behemoths he helped create as Fed chairman. “If they’re too big to fail, they’re too big,” he told the Council on Foreign Relations on October 15. “In 1911, we broke up Standard Oil. So what happened? The individual parts became more valuable than the whole. Maybe that’s what we need to do.” These declarations may read as belated expressions of regret, but they have serious influence in Washington. In the Senate, both the chairman of the Banking Committee, Christopher Dodd, and the ranking Republican, Richard Shelby, think putting the Federal Reserve in charge of regulators would be a mistake. On November 10 Dodd unveiled a draft bill that strips the central bank of its regulatory function and creates a new overarching regulatory administration that pre-empts existing agencies. Shelby argues further that the Fed should be reorganized to eliminate the role of private bankers in making internal decisions at the twelve regional Federal Reserve banks (Dodd would require Senate confirmation for presidents of those banks). “I believe this is an inherent conflict,” Shelby said, “because the banks decide who will be their regulator. I don’t think that’s a healthy thing.” Senator Bernie Sanders, always the point man for big ideas, proposes that the Treasury be required to identify and dismantle banks that are too big to fail. Trumka too objects to Obama’s plan to put the Federal Reserve in charge as super-regulator–at least until the central bank is reformed, stripped of banking insiders and made democratically accountable. “Giving the Federal Reserve, with its current governance, control over which financial institutions are bailed out in a crisis is effectively giving the banks the ability to raid the Treasury for their own benefit,” he warned. Strong words, but Trumka’s critique is a better fit with reality and the public’s angry mood than anything heard from the White House or Congress. As recent election returns suggest, if the president continues to soft-sell reform, he is at risk of being identified with the old order in Wall Street. The longer Congress tries to placate the bankers with meek reforms, the sooner Democrats will discover this is really dumb politics.